This book presents a unique view of the key issues for adopting BIM in construction projects from a pragmatic perspective. 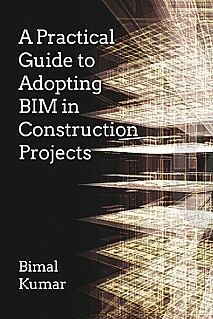 It provides an overview of the core ideas and issues distilled from various guidance documents and by dealing with the more mundane practical issues, facilitates an understanding of the more complex and important issues of processes, standards and protocols that need to be in place for the successful adoption of BIM in construction projects. In so doing, it provides reader-friendly guidance to enable the engineer or student to fully understand the implications of the process and to facilitate the application of the principles and techniques in real scenarios. The author presents a balanced approach combining sufficient background theory and practical ideas to ensure the book is applicable and relevant to practising engineers, architects, contractors and client organisations. It will serve as a key introduction for students. The appendices provide practical advice and material for BIM projects, dealing with issues such as compliance, project implementation plans and learning outcomes. Although much of the topic emanates from the UK, it is equally applicable in any country where best practice is desired. Professionals in construction and civil engineering, advanced students in these disciplines. Also appropriate to other disciplines such as quantity surveying, architecture and of relevance to project managers, clients and designers involved in the construction industry and supply chain.